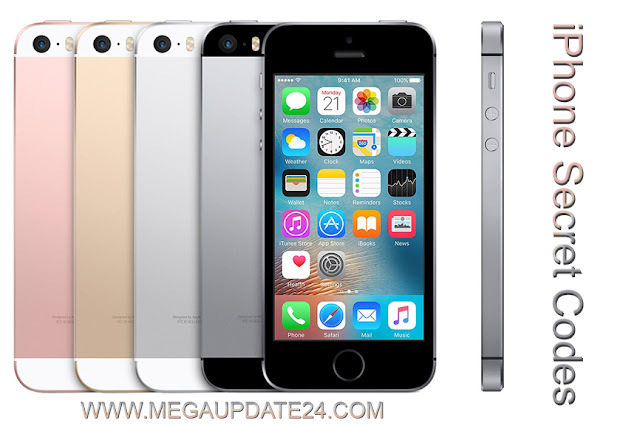 iPhone is the most popular and luxurious phone all over the world. Most of the people in the western country and some of us use iPhone in our daily life, but we don't know much more about iPhone Secret Codes or Settings. In this post, I will clear and describe Best iPhone Secret Codes List. Actually, iPhone has many incomparable features with others and secret system those are really impressive. This time, the smartphone is a common gadget to every people. As a most popular gadget, all kind of people is interested in the smartphone. Also, we have to know that every smartphone has some hidden secret codes. Technology gives us more blessing and wonderful accessories iPhone is one of them. By using iPhone Secret Codes we can manage its internal settings and others function. You can use these Hidden Codes you can solve your critical problems and work quickly from before. These Hidden Secret Codes let you know about some hidden iPhone menus, also check much more by using these iPhone Secret Codes List. (*#31#) - This code allows you hide your phone number. (#43#) - Deactivate your writing setting. (*43#) - Active you waiting for iPhone. (*#43#) - Call waiting for status. (*331*) - Barring code # Outgoing calls abroad to block the lock code to inquire about her please contact your network operator. (*#5005*7672#) - This code for check SMS center. (*3370#) - EFR mode Enhanced Full Rate improves your iPhone voice quality, but it will slightly reduce battery life. (*#62#) - You can verify the number for forwarding calls. If there is no service is available. (*#61#) - To check the number of the missed call. (*3282#) - It will let you know about the use of information info. (*#21#) - You can set inquiry for call forwards. Find the settings for your call forwarding. You will see whether you have the fax, SMS, voice, knowledge, sync, async, paid access & packet access call forwarding enabled or disabled. (*#76#) - For checking connected line presentation is enabled or not you can use this code. like to the calling line presentation, you can also check whether the connected line presentation is enabled or disabled. (*#33#) - You can check call control bars by using this code. Also for seeing whether barring is enabled or disabled for outgoing you can check all the usual suspects like fax, SMS, voice, information, etc. (*777#) - To check the amount balance( Prepaid iPhone Only). (*225#) - To check the bill balance(Postpaid Only). (*646#) - It will display your available minutes(Postpaid Only). (*#67#) - You can check the number in order to call forwarding when the iPhone is busy. And again, but for when the iPhone is busy. (*3001#12345#*) - This code opens you field mode which contains all of iPhone inner settings, cell information, and newest network. (*#06#) - It will display your iPhone IMEI. It is an identifier for your mobile phone hardware. These are the Best iPhone Secret Codes List. Hopefully, those help you to make your experience much better from before. IF you have any question about Best Phone Secret Codes List then don't forget to ask me via the comment section.